Pacific Grove Country Club Gate area real estate is highly desirable for those looking for a condo right in the middle of town close to the Pacific grove High School and Forest Grove Grade School. There are two condo communities located in this area and there is rarely any condos available to purchase. If this page doesn't have any condos at the bottom of the page for you to look at, that means there are no Pacific Grove Country Club Gate area condos available for sale right now. Please check back often or contact us and we will set you up on a special listing alert for just these properties. The latest selection of Country Club Gate Condos for sale listed on the MLS (Multiple Listing Service) in Pacific Grove, CA are located on this page. 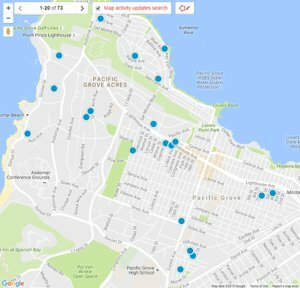 For a full list of everything that is available in Pacific Grove, you can build an advanced search or if you would like us to do it for you, contact us.